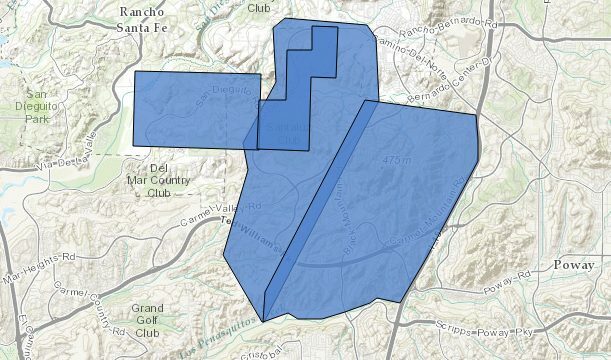 Evacuation zones, per San Diego County for Bernardo fire. As of 4 p.m. May 13, 2014. CalFire Google map of affected area in Bernardo fire. 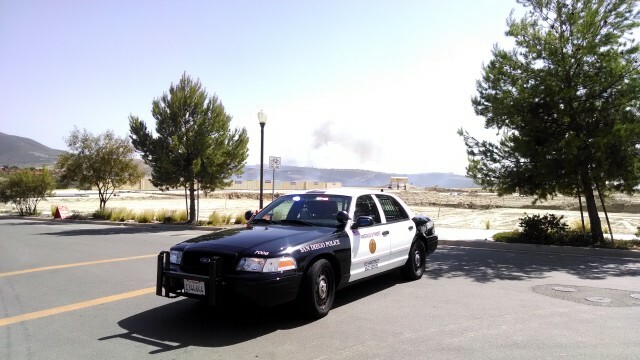 Police close road near Del Norte High. Photo credit: Chris Jennewein. Smoke plume southwest of Del Norte High. in Bernardo fire. Photo credit: Chris Jennewein. A Santa Ana-stoked wildfire tore over swaths of brushy open land west of Black Mountain Tuesday, charring hundreds of acres alongside rural neighborhoods and forcing thousands of residential evacuations in communities between Rancho Penasquitos and Rancho Santa Fe. The thousands of people who had been evacuated were told at 8 p.m. they could return to their homes and although the fire was still only 5 percent contained, most of the flames had died down, and aircraft were no longer being used, said Lee Swanson, public information officer with the San Diego Fire- Rescue Department. No aircraft were flying this evening, although Cal Fire has aircraft that can be used at night, Swanson said. The flames erupted for unknown reasons shortly after 10:30 a.m. off Camino San Bernardo and Nighthawk Lane in 4S Ranch and spread to within several feet of some homes, but had caused no reported injuries or structural damage as of 7 p.m. Pushed by hot, dry winds out of the east amid summer-like temperatures, the blaze, dubbed the Bernardo Fire, snaked through canyons between high-end suburban enclaves, racing through thick vegetation faster than ground and airborne crews could douse them. By early evening, the flames had blackened at least 850 acres as the fire moved to the west and north through and next to developments in Del Sur, Santa Luz, Fairbanks Ranch and Rancho Santa Fe, according to police. Crews had most of the active fire extinguished, though the extensive burn area was only about 5 percent contained, officials said. In the early afternoon, Poway Unified School District administrators evacuated pupils from Del Sur, Stone Ranch and Willow Grove elementary schools by bus. 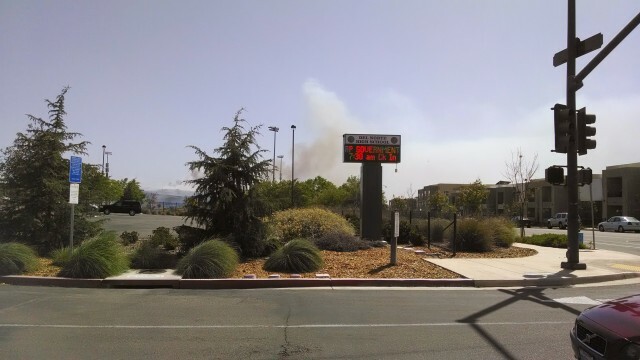 Students at Del Norte High School, near the point of the fire’s origin, and at Oak Valley middle school were directed to remain in their classrooms as a precaution, PUSD spokeswoman Jessica Wakefield said. No serious air-quality issues were reported at any of the campuses, though the smoke was fairly thick at Del Sur Elementary at midday, Wakefield said. 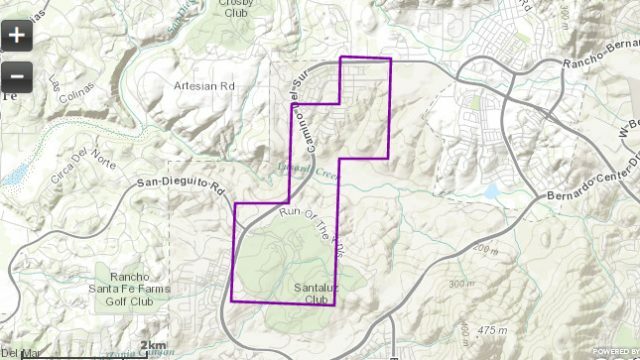 As of 5 p.m., authorities had cleared out residents and closed traffic lanes along Artesian Road; Calle Mayer; Camino del Sur; Deer Ridge Road; Del Sur Court; El Sicomoro at Via De Santa Fe; Entrada de Luz East; Run of the Knolls; and San Dieguito Road in the area of El Apajo and Montien Road, according to San Diego police. Fairbanks Ranch Country Club, sections of Rancho Penasquitos and a few areas south of Carmel Valley also were evacuated. 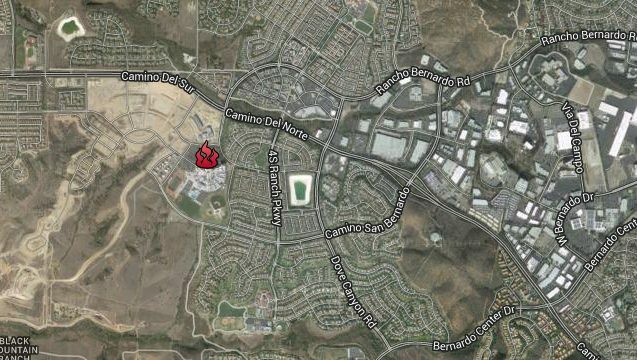 Those displaced by the blaze were being directed to temporary shelter facilities at Rancho Bernardo and Torrey Pines high schools. Among those who vacated their homes for safety’s sake was San Diego City Councilman Mark Kersey, who lives in Black Mountain Ranch. He advised others in threatened areas to do likewise. “All residents who are under mandatory evacuation notices should respect the direction of our first-responders,” Kersey said. About 5,000 households were under evacuation orders at the height of the emergency. 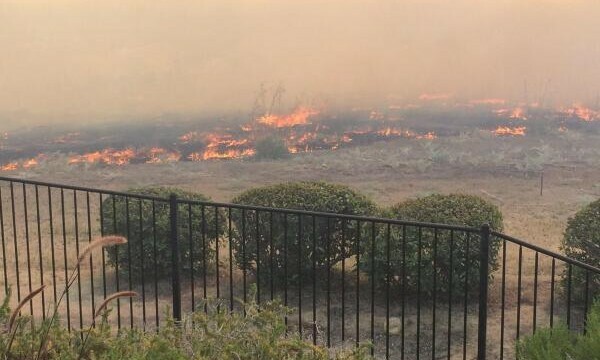 Most people were expected to be able to return home this evening, except for residents of a few neighborhoods in Rancho Penasquitos and Del Sur, SDPD Chief Shelley Zimmerman said at an early-evening briefing. Anyone with questions about evacuations was asked to call 211, a government information line. Faulconer praised firefighters for their effective work in protecting structures during the conflagration. “Our San Diego region has come a long way (in suppressing major wildfires), and this has been very evident in the response today,” Faulconer said. Faulconer said he had declared a local state of emergency due to the fire, a move that will allow the city to seek outside emergency funds to help defray the costs of extinguishing it. San Diego Fire-Rescue Department Chief Javier Mainar noted that such extreme fire events have historically been uncommon in the springtime. 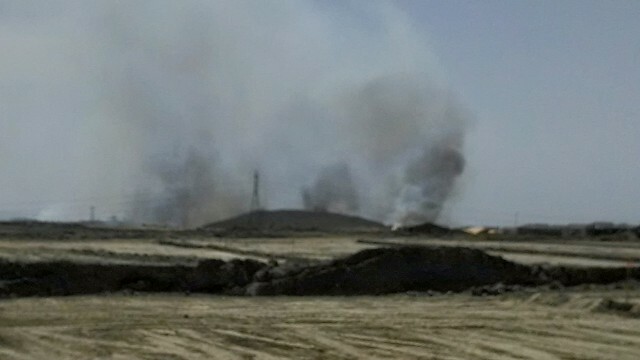 “It is unusual in May to have wind-driven fires like this that are such a challenge to contain,” Mainar told news crews. The cause of the fire was under investigation, fire officials said.